As digital lives become more and more popularized, people are likely to save and use the important data on hard drive, USB flash drive, memory card, mobile phone, camera, external hard drive and so on. However, there are some situations we may face with such as delete the crucial file accidently, empty the Recycle Bin and then can‘t be able to access your file because they are formatted, corrupted or damaged hard drive etc. From now on, you have no need to worry about the lost data. Tenorshare Free Any Data Recovery can help to retrieve files from all data storage devices. Tenorshare Free Data Recovery software is the 100% free data recovery software program that you can recover photos, videos, documents, music, emails, documents, and archives in more than 550 file formats through this tool. It can retrieve lost data due to drive reformatting, virus attack, system crash, and software failure. Tenorshare Free Any Data Recovery means a great assistant and a good choice for you to restore files from deleted, resized corrupt and inaccessible partitions. 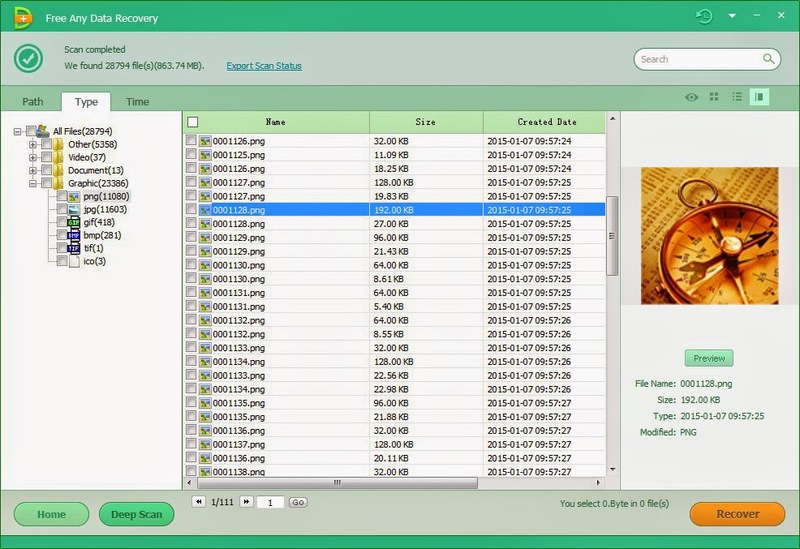 With this free recovery software, you can not only recover files from PC‘s hard drive, portable devices including USB flash drive, memory card, external hard drive, camera, mobile phone etc., but also you can restore all lost data on FAT 12/16/32 and NTFS partitions for it is compatible with Windows file system. This freeware is of high quality and easy to use. It is easy for you to preview photos, audios, text in all popular formats to confirm whether they are the ones you need before recovery and to selectively recover specified files type in a specified folder, partition or other location. You just need to download, install, and run Tenorshare Free Any Data Recovery. After the former steps, firstly you can select file types you want to recover and click “Next”. Secondly, you can select the partition where you deleted files and click “Scan” to start scanning. 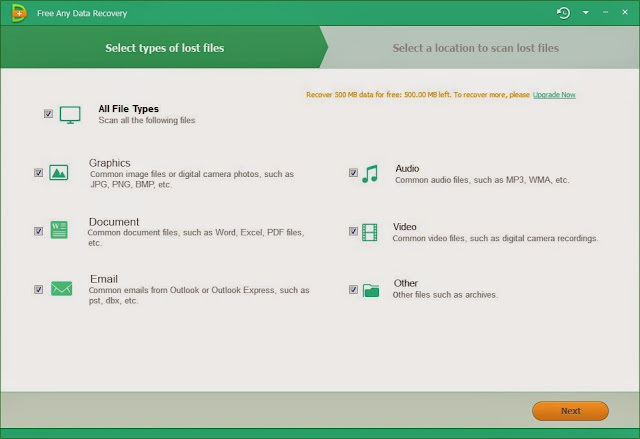 Thirdly after scanning, you can preview the files before recovery and then click “Recover” to start recovery. Finally, you can select a path for the recovered files and click “OK” to complete recovery. You can experience the smart and useful options from this freeware like to deep scan your partition and recover data to the largest extent, to import previous scan result and recover data without rescanning. t‘s safe enough and never doing any damage to the original files. The possibility to occur a bug or crash is particularly small and it does no matter for the recovery. Tenorshare Free Any Data Recovery is so helpful a tool that it‘s worth having a try. Log into Tenorshare‘s official website to get more information.